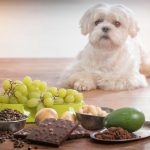 Probiotics are beneficial for dogs, so below, we rank the best probiotics for dogs. Remember that probiotics are, by definition, billions of good live bacteria. So when ordering, remember that prolonged exposure to to air, moisture, or temperature extremes may impact their effectiveness. 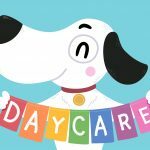 Also, a decrease in good bacteria can cause a myriad of things, including an upset stomach, diarrhea and even a general decline in overall health. Probiotics for canines often assist in the rebuilding of good bacteria. 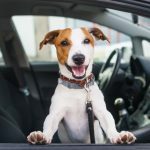 After a review and study of the many probiotics on the market, below are our detailed list of the best dog probiotics: The reviews below show our most highly rated dog probiotics. Be sure and watch for the number of tablets in each package and therefore, the cost of each tablet. This dog probiotic is made by Amazing Nutritionals with each bottle containing 120 tablets. The tablets are bite-sized and are flavored with bacon and beef liver. And unlike most powder and liquid dog probiotics, the tablets won’t harden into clumps or spill on the kitchen cabinet. And since they are tablets, they don’t need refrigeration. They are made in the U.S. and don’t contain possible allergy causing ingredients like wheat, corn, maltodextrin, animal digest, grains and soy. They are made for all dog breeds, ages and sizes of dogs. The manufacturer also offers a generous money-back guarantee. The Amazing Nutritional Probiotic for dogs is a perennial best-seller and rates our full FIVE STARS! Made by Nutramax, this bottle contains 80 capsules. Each capsule contains the many species of microorganisms and bacteria to maintain or re-establish healthy intestines in your best top dog. A good short-term product for use when your dog has diarrhea or loose stools to get his or her bowel movements back on a regular schedule. We rank the Nutramax Proviable Health Supplement a THREE STAR ranking. The Purina FortiFlora contains 30 packets. Ingredients within the packets include antioxidants, vitamins A, E, and C, as well as a guaranteed amount of live active cultures of microorganisms and bacteria. Specifically designed to remedy diarrhea caused by antibiotics, stress, food issues and emotional changes. 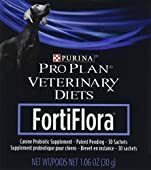 Though not a dog probiotic we recommend using on a daily basis, we recommend Purina Fortiflora for occasional specific uses and give it FOUR STARS. The round plastic container of the Pet Ultimates Probiotics for dogs contains 137 grams or about 1/3 of a US pound ingredient powder. Unlike other probiotics that are in tablet or liquid form, a powder can be added to a dog’s food or water with little notice. According to the manufacturer, the powder contains two billion CFUs per scoop- substantially more than other products. The manufacturer also has a generous money-back guarantee. For the Pet Ultimates Probiotic, we give our highest ranking of FIVE STARS! The Enzymes for Dogs and Cats is sold in a round plastic container containing 12 ounces of powdered product. A scoop is included which yields 364 servings. The product contains 11 types of different plant-based digestive enzymes that have been specifically made for dogs. The powder is not flavored and can be added to a dog’s food on a daily basis. It contains no potential allergenic ingredients such as wheat, dairy, eggs or soy. It contains no flavorings or animal ingredients – completely vegan! The manufacturer has a 100% money-back guarantee. 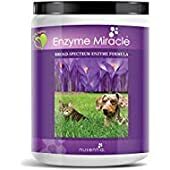 For the Enzyme Miracle Enzymes for Dogs, we give a thumbs-up and our highest rating of FIVE STARS! Vetri Mega Probiotic is made in the USA in Vermont. Each bottle contains 120 capsules, which can be broken in half for small dogs or usage. The capsules contain 5 billion microorganisms and 8 different strains. In addition, each capsule also contains 10 billion CFU/gram of good bacteria. The capsules do not contain dairy. Vetri-Science Mega Probiotics are good probiotic for everyday use and rate our FOUR STAR ranking. Our dog probiotic research looked at the list of specific probiotics (or the names of the individual strains of bacteria) in each product for sale. 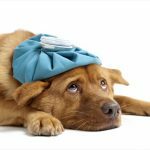 According to vets, (and this is true for their human friends as well), each strain of bacteria does something helpful and different for the body. In many cases, too many different kinds of bacteria can not be helpful as they tend to cancel each other out. Probiotics lose their effectiveness (die) over time. Use the probiotic product well before its expiration date. Probiotics are microorganisms or bacteria that live in the digestive tract. They are essential in boosting the immune system of a dog, and also, they can be used when a dog is experiencing stomach or digestion problems. 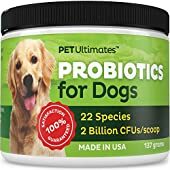 Given that probiotics are bacteria living in the digestive tract, how then does one feed a dog? One feeds the dog by feeding the probiotics with prebiotic. Some of the prebiotic’s include bananas, apples, mushrooms and garlic among more. 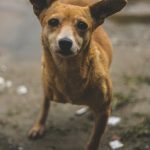 How do Probiotics Help my Dog? Probiotics work by helping your dogs digestive system create what are called SCFA’s (short-chain fatty acids). SCFA’s help the digestive system by reducing or stopping the growth of harmful bacteria like E. coli and Salmonella. Dog probiotics contain billions of beneficial bacteria. 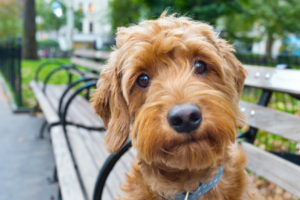 Many of these bacteria, such as Enterococcus faecium, Bacillus coagulans, Bifidobacterium animalis and Lactobacillus acidophilus have been shown to beneficial to aid with diarrhea and improve the dogs overall digestive system. to resolve in dogs. 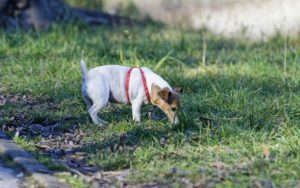 The bacteria Lactobacillus plantarum is also beneficial for dogs as well.